This installation of AEA Sessions features the harmonious duo, Short & Sweet, comprising Liz Beebe and Z. Lupetin of The Dustbowl Revival, as they perform an original track, 'Let It Go', into an R84A, R88, and N22. Their performance is reminiscent of classic methods of vocal harmony recording in which two or more vocalists surround one mic to track organic, live harmonies. The pair sing words of self-forgiveness that embrace the power of the present moment and reflect the simplicity of their performance style. 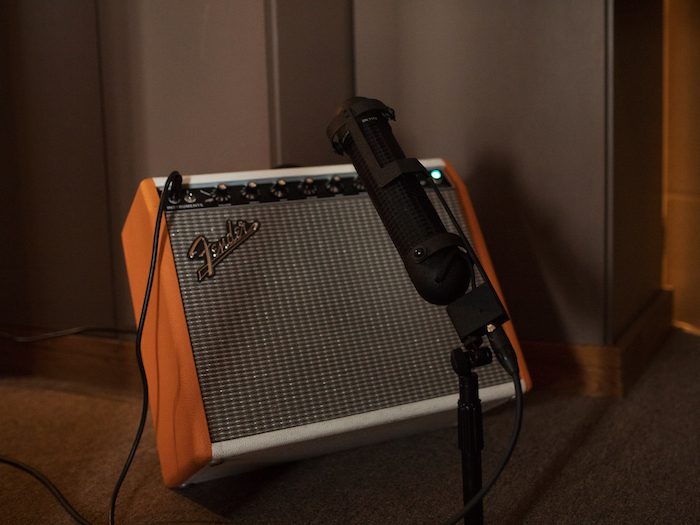 The active R84A supplies rich warmth to the vocals as the N22 provides detail and clarity to the finger-picked guitar and rhythmic finger-snapping. The R84A and N22 run through the newly issued TRP2 and an R88 runs through RPQ500's to record a guitar amp with echo effect. Short & Sweet is the formed duo project of Liz Beebe and Z. Lupetin of The Dustbowl Revival. Touring the world with the eight-piece soul-roots group for the last five years - the pair began working on their own songs in late 2017 and formed the project to focus on their more personal and often less heard songs in the close-harmony, sing-around-one-mic style. Using only guitar, ukulele, and their intertwined voices, the two friends are collecting stories and songs from their travels and aim to begin recording by the end of the year.